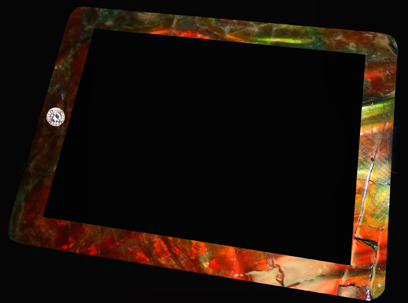 The main frame is made from an ancient rock in the form of ‘Ammolite’ which is about 75 million years old. 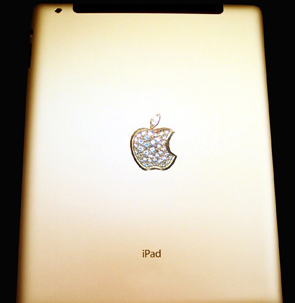 Here is the best part,embrace for yourselves because if you want to be proud owner of this custom-gold-made gadget, you would be having parts of T-rex with you (bones). Sections of the 65 million year old Tyrannosaurus Rex thigh bones were splintered and mixed with the Ammolite, a stone over 75 million years old, which was then crafted to the iPad’s main front frame. You will have his bone..
o my…i wonder who would buy it! this boggles my mind! thanks for sharing!